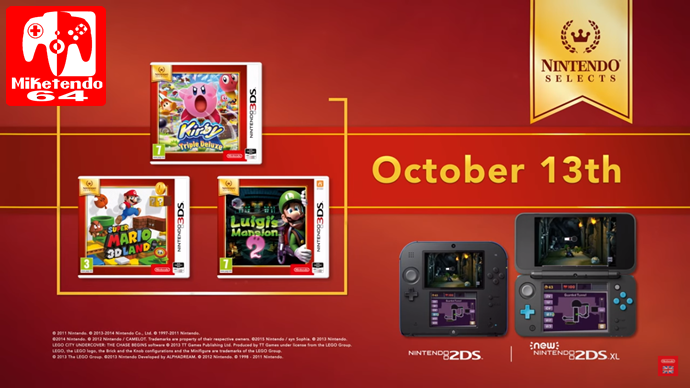 The European Nintendo Selects Range will have another 3 titles added to it’s selection and include; Super Mario 3D Land, Luigi’s Mansion 2: Dark Moon & Kirby Triple Deluxe. These titles are already available in the North American Range but it is nice of Nintendo to bring these titles back at great value. With the New 2DS XL that release earlier this year, now is as great as time as any to pick up these incredible games. To commemorate these new additions, Nintendo UK have released a video on their YouTube channel which you can view below.